The State Department ordered U.S. government employees' relatives to leave Nicaragua Monday after days of deadly protests over proposed social security changes. 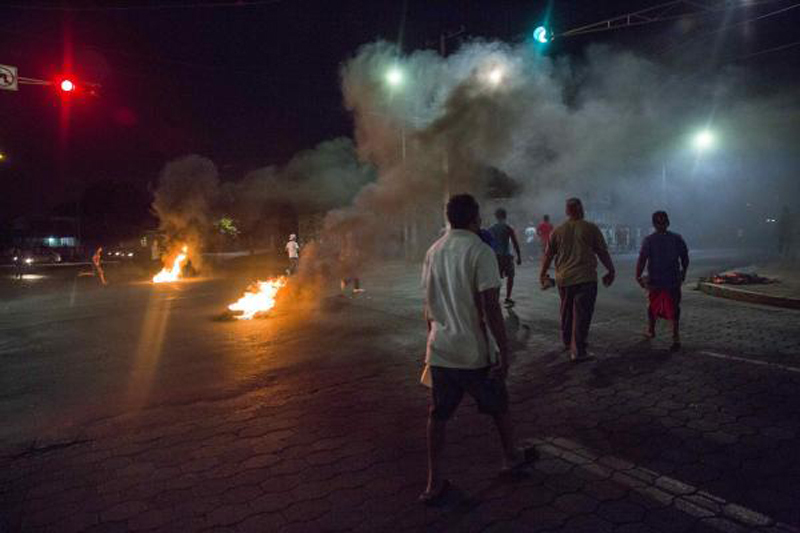 The order, which also authorized the departure of U.S. government personnel, and continued a travel advisory, follows rioting and protests in the capital Managua since Wednesday. At least 26 have been killed in the unrest. "Violent crime, such as sexual assault and armed robbery, is common," a State Department release stated. "Police presence and emergency response are extremely limited outside of major urban areas." The protests erupted Wednesday over the government's planned changes to social security that would result in workers paying more into the system and receiving less when they retire. Security forces have used tear gas, rubber bullets and live ammunition against demonstrators. Journalist Angel Gahona was fatally shot during a live broadcast Saturday. Nicaraguan President Daniel Ortega sought to quell the unrest on Sunday by revoking the legislation to make the social security changes.